One of the most requested feature is to have the option to dims also the web browser theme, that include the web browser toolbars. But that option was not possible with the current published Chrome, Firefox and Opera extension API. Now in Firefox version 55 (and higher) you got the option to dims also the browser theme. 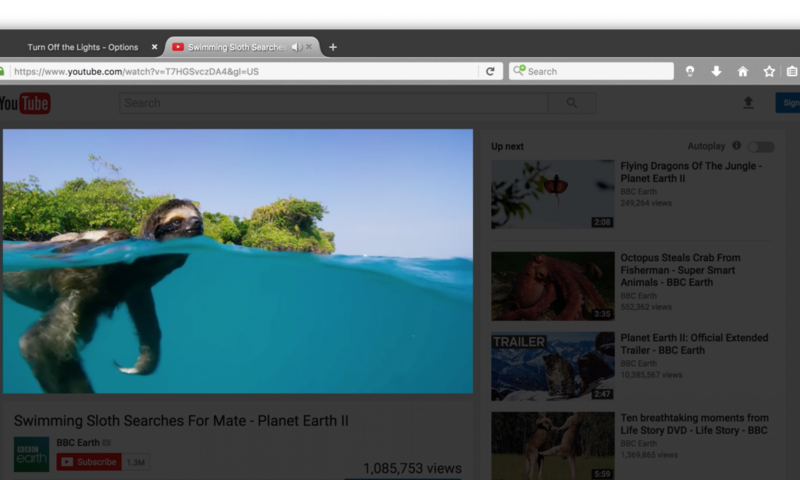 So you get the best experience to see conformable a YouTube video or read a newspaper in the dark theme. When you click again on the lamp button, it goes back to your default lighter theme. One click on the gray lamp button it dims the web page but also the browser toolbar. However, this feature is default disabled in the Turn Off the Lights Options page. To enable this feature in your Firefox web browser, open the Turn Off the Lights Options page, and click on the “Advanced Options” tab. 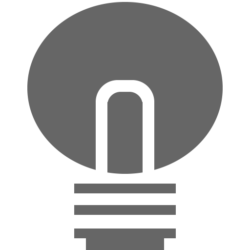 When that tab is open, scroll down until you see the topic “Bulb”. Here you see right of the 5 lamp icons an extra checkbox to activate the dark theme. The Firefox Dark Theme is a 80% opacity of the black color, and that match with the Turn Off the Lights dark layer when you click on the lamp button. Try it yourself today in the Firefox web browser version 55, and let us hear your feedback. We take all the feedback we received in our support form and personal review very seriously. We analyse this review and try to simulate it on our computers. We do all this work do for free, and that for all our users. So please don’t forget to support our work by making a small donation, as we continue to distribute our Turn Off the Lights Browser extension as 100% free. So you get the best web experience. This is something only Turn Off the Lights Team can do this for you.